Drake will indeed pass on the stage of the Bell Centre September 4th & 5th, 2018, with Migos. 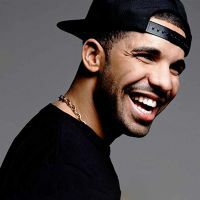 The rapper, hip hop singer was born in October 1986 in Toronto. He began his career in 2002 on television as an actor. It was not until 2007 that he became very popular with his singing career. His personal fortune is estimated at about 75 million. Be prepared for the Drake show at the Bell Centre, get your tickets now!